Cauliflower is getting its due these days. Given the brain-like appearance and old-school preparations that steamed it beyond any recognizable texture before covering it with Velveeta, this is a welcome development. At Roost, chef Kevin Naderi has elevated the ivory-hued vegetable to iconic status with some unexpected ingredients. 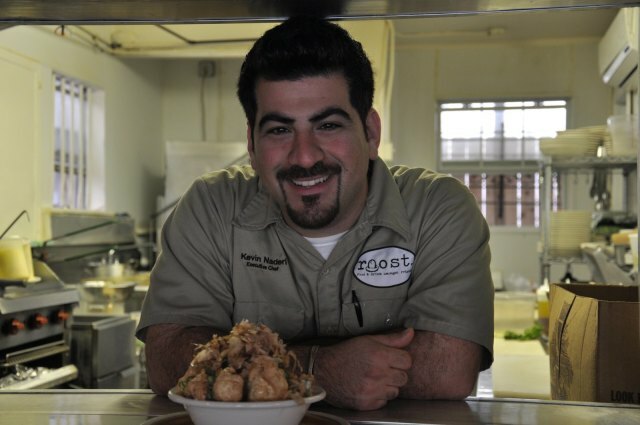 Naderi says he wasn't out to create a signature dish with his now-famous bonito-topped cauliflower, he just wanted to make a farmers' market haul as tasty as possible. 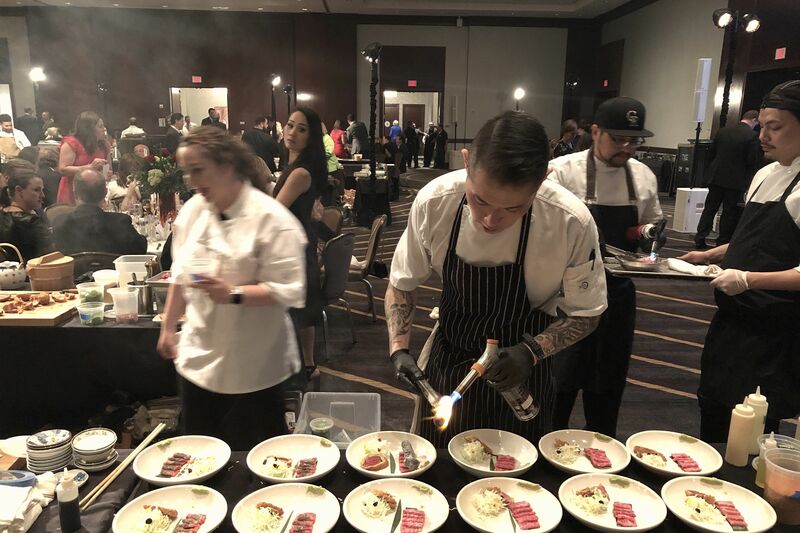 Riffing on traditional Mediterranean preparations which often include flash-frying the vegetable and serving it with lemon and pine nuts, Naderi found himself doing encore after encore of what was supposed to be a daily special. Roost regulars never stopped asking for the dish, which is why it is now a fixture on the otherwise frequently updated menu. 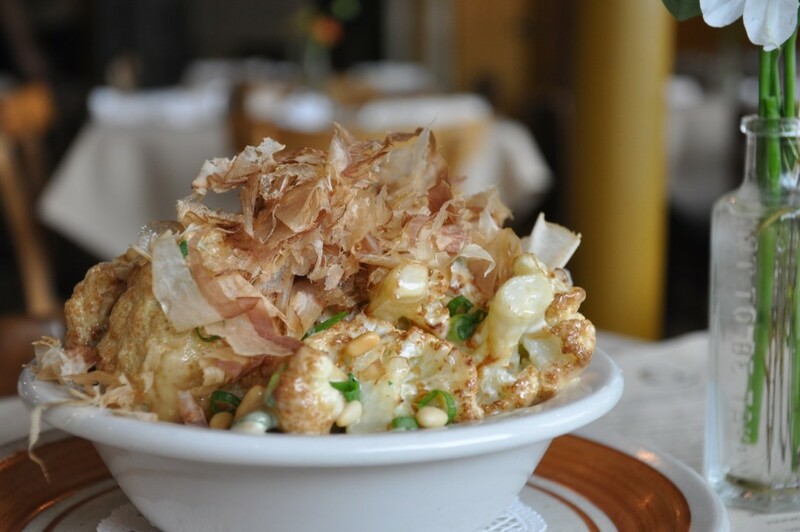 Naderi's umami bomb includes flash-fried hunks of cauliflower coated in a creamy miso dressing, sprinkled with pine nuts and scallions and topped with bonito flakes (shaved pieces of smoked, dried fish) that "dance" from the heat of the cauliflower beneath it. Aside from the deeply penetrating aroma of smoked fish, the first thing you'll notice is the generous portion size. Each dish consists of half a head of cauliflower. While that may sound like a lot (and yes, it's enough to share), the addictive nature of this unassuming dish is enough to cause even the staunchest cauliflower skeptic to hoard the bowl. "We are currently going through 13 cases of cauliflower a week," says Naderi.